We had an amazing trip!!! Captain Wilkin has tremendous knowledge of the area and the game. When there were lulls in the action he kept trolling and looking until things got hot again. We will be back and Captain Willie will be our only charter!! We had an amazing trip!!! Captain Wilkin has tremendous knowledge of the area and the game. When there were lulls in the action he kept trolling and looking until things got hot again. We will be back and Captain Willie will be our only charter!! 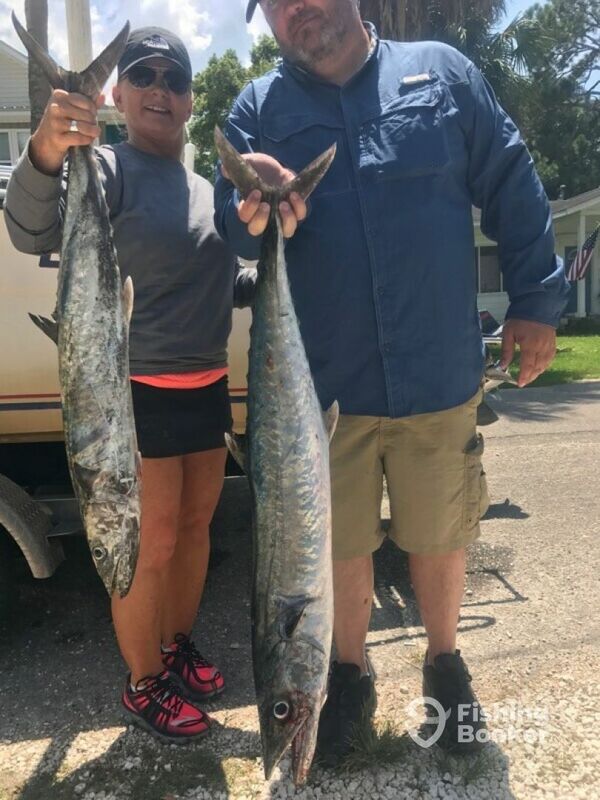 Had a really good trip catching King and Spanish Mackerel. Caught over 15 fish (i stopped counting at that point) with at least half keeper sized. FYI, the captain likes Ranch flavored sunflower seeds. 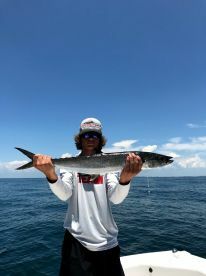 Had a really good trip catching King and Spanish Mackerel. Caught over 15 fish (i stopped counting at that point) with at least half keeper sized. FYI, the captain likes Ranch flavored sunflower seeds. 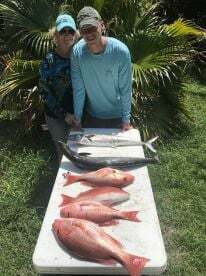 Great fishing trip off Crooked Island! Trifecta of favorite fish—red fish, trout and flounder. Captain Wilkens Lane knows his stuff. Super flats boat draws 3 inches of water on plane. 5 star outing. Awesome half day trip would recommend to anyone coming to St Joe or Cape San Blas. We did inshore and caught some beautiful big Redfish and plenty of trout. 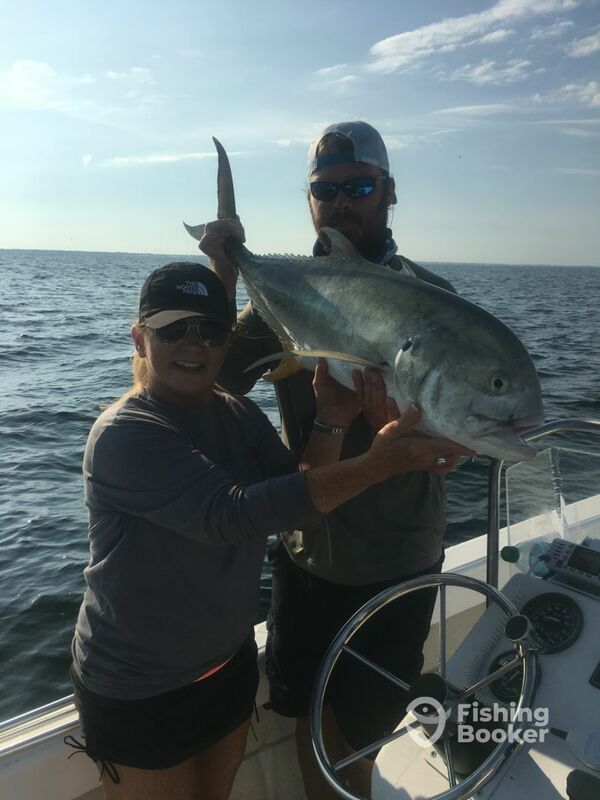 The Captain was super friendly and incredibly knowledgeable and worked hard to get us on the fish. Amazing day. We had a great time on this fishing. 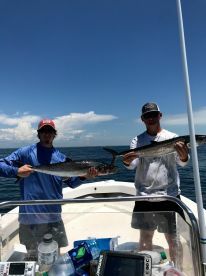 We caught some large King Mackerel. I would highly recommend Reef Donkey Charters. I will definitely use this charter again! !